Religious services were held in the district as early as 1833, conducted by the Society of Friends. Later, Congregational services were held. 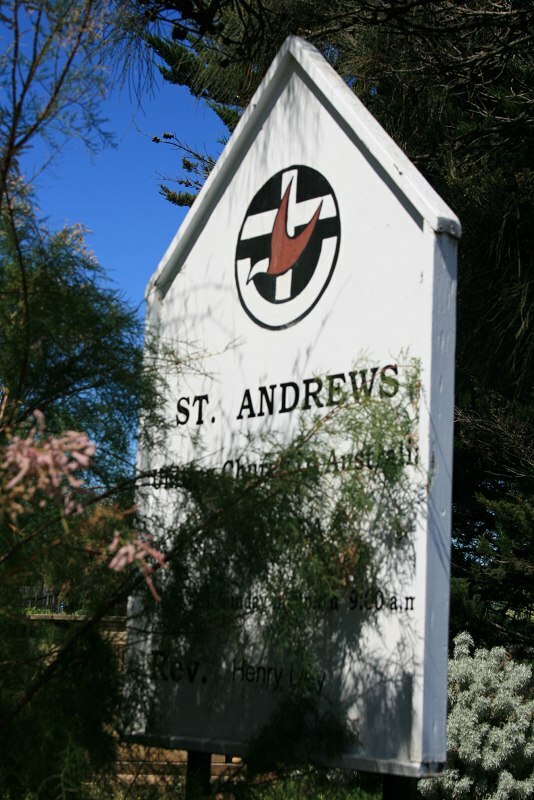 In 1838 the building of an Anglican Church was discussed. The Rev. Joseph Mayron visited the district this year, when the first baptism was recorded in the register. On March 1, 1839, Mr. Mayron was appointed by Bishop Broughton, of Sydney, to be colonial chaplain of Great Swan Port. On March 17 the first service was held in the “new school,” as the church building was called. Early baptisms include children of members of the 11th and 96th Regiments, 57th Fusiliers and Light Infantry, who were stationed at Waterloo Point, the site of the settlement then. The first meeting of the church committee was held in September, 1839. 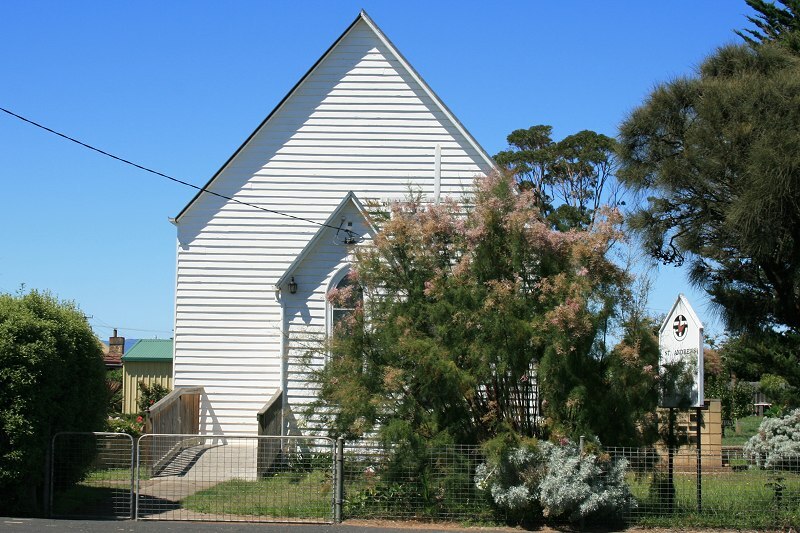 The church was situated in a square of gum trees, on the present golf links. About 1881 the building was in a dangerous condition, and was pulled down. 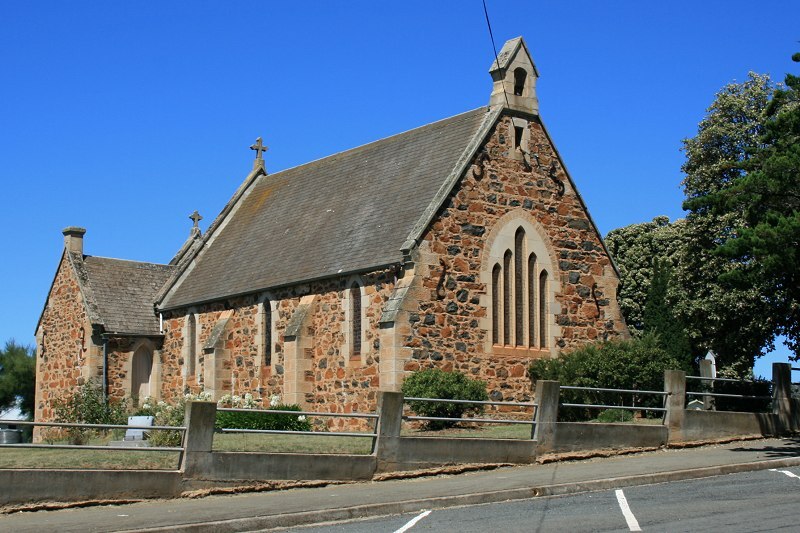 The present church was built by Mr. A. Gemmell, to the design of Mr. H. Hunter, of Hobart, at a cost of £450. The foundation stone was laid in 1871, and the consecration and dedication took place at the end of the same year, at a service conducted by Bishop Bromby and the Rev. Joseph Mayron. Cnr Noyes & Wellington St, Swansea.